Just like after my favorite decorator's (Dorothy Draper) book, I too am "into the pink" lately. Maybe its just hopes for some warm weather and bring back my spring closet. 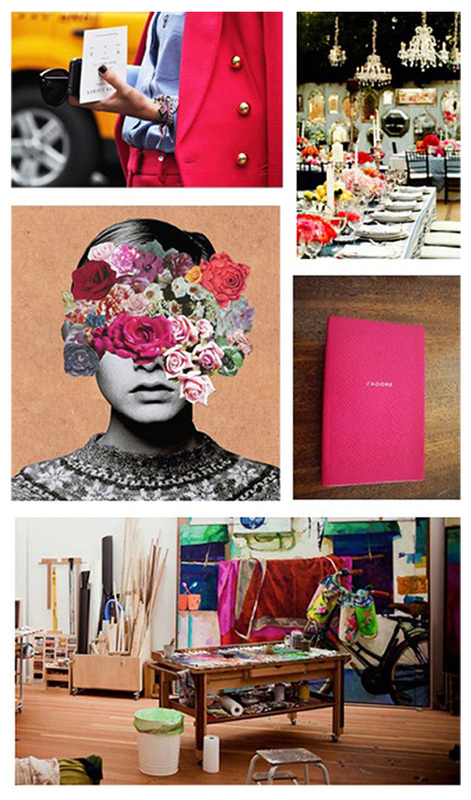 Nonetheless, I have been gravitating towards bright, saturated colors, especially 2011's pantone color. Hope these make for a cheery Tuesday! Pink Jacket. Floral Dining. Floral Graphic. J'adore. Studio Space.